Dreamgrave was formed in Szeged, Hungary in 2007 by Dömötör Gyimesi (vocals, guitar). After releasing the “Deadborn Dreams” demo in 2009 the line-up disintegrated leaving founding member Gyimesi to rebuild the band. “Presentiment” is the recording debut of the new line-up. Consistent of quality in terms of songwriting, production, and presentation “Presentiment” is a very promising start for the band, and hopefully the record will be able to forward and advance its rising profile in the global metal industry. 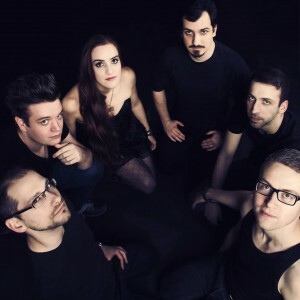 On its independently released debut album “Presentiment” the Hungarians play an elegant, versatile and highly atmospheric mix of symfo metal, progressive rock and circumstantial death metal elements with alternating harsh male and soothing female vocals. The album title is a portmanteau of ‘present’ and ‘sentiment’. There is an unmistakable ethereal quality to Dreamgrave’s music which can be attributed to the writing duo’s willingness to look beyond the confines of the limiting framework of its metal architecture, and to abandon it in order to reach its desired sound and direction. 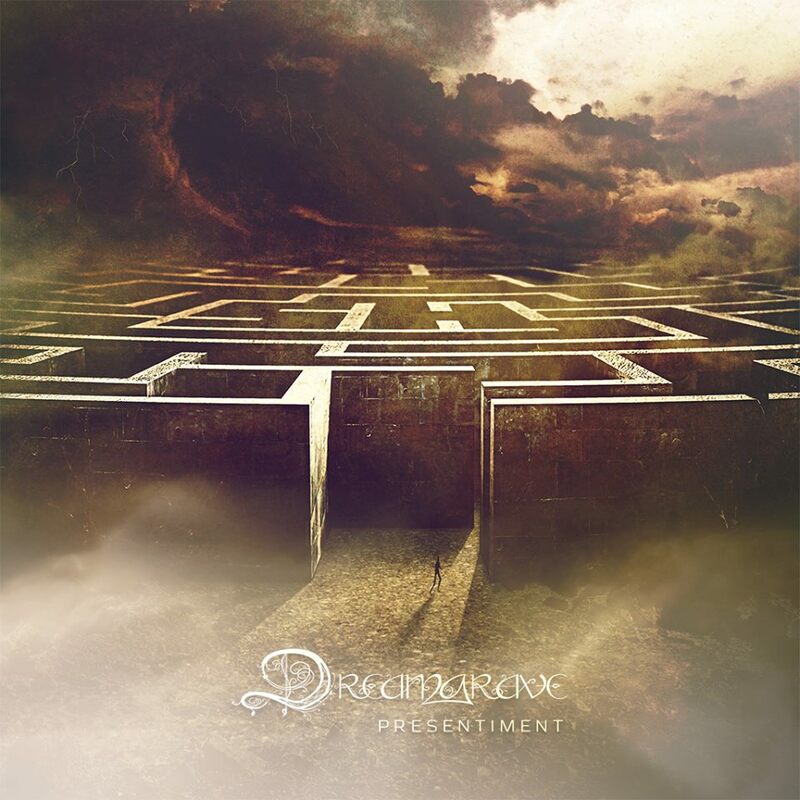 “Presentiment” is at its strongest when Dreamgrave forgoes its metal aspect entirely. Especially when it thoroughly explores the interaction between Dömötör Gyimesi’s expressive clean vocals and Mária Molnár’s emotive chants within an atmospheric, non metallic context that emphasizes the considerable strengths of each singer. The instrumental opening ‘Ethereal Eternity’ sets the tone for the record as it is anything but typical for the genre, and would feel more at home on a movie soundtrack. The prominent bass licks, psychedelic organs and serene guitar playing recall Mark Knopfler (Dire Straits) and David Gilmour (Pink Floyd) rather than any metal guitarist, whereas the progressive sections are reminiscent of prime era Symphony X. ‘Black Spiral’ is a fairly typical symfo death metal track until towards the end of the 3 minute mark wherein the band explores its psychedelic side with a bluesy, almost weeping guitar solo that could have been written by Mark Knopfler. ‘Memento Mori’ ramps up the progressive elements, but its organs could have been culled from a The Doors album. ‘Presentiment’ starts off serenely in the tradition of any of the David Gilmour fronted Pink Floyd albums. For the first time Mária Molnár takes the lead vocally, and the results are expectedly stellar. Gyimesi’s grunted vocals also make their return but they are somewhat lost (if not entirely unnecessary) in between the fiery solo’ing and drumming. It are however bass guitarist Gergő Drahota, and Molnár that push the cut to its climax. ‘Presentiment (part II)’ is a romantic and introspective soul song without any metal elements to speak of. It sounds like something you’d hear on a serene lounge record. Mária Molnár sells the song with her emotional vocals. The soulful nature of the song emphasizes her golden pipes. 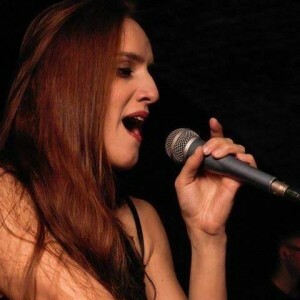 When and if Molnár ever gets the chance to branch out as a solo artist the classical, lounge/soul/jazz – or darkwave direction is one she should consider exploring as they are the ideal musical context for her angelic vocals. Most of the songs from the album clock over 6 minutes with ‘Presentiment’ and ‘It’s Ubiquitous’ surpassing the 8 minute mark. Only ‘Presentiment (part II)’ is of standard length. In its current form the band is co-fronted by the delightful Mária Molnár, who graduated in classical and oratorium singing, and alternates beautifully with the harsh grunts of guitarist Dömötör Gyimesi. The grunts of Dömötör Gyimesi are reminiscent of former Shape Of Despair frontmen Tony Mäensivu and Pasi Antero Koskinen. The vocals are shared equally between Gyimesi and Molnár, although Dreamgrave is at its strongest when Molnár takes the forefront. The first half of the record is far more metal oriented than the second. The latter half is far more introspective, atmospheric and based around the interaction between clean male vocals and Molnár’s chants. Given the prominence of the organs, keyboards and energetic guitar work it should come as no surprise that all songs were by Dömötör Gyimesi and János Mayer. Likewise is Gergő Drahota’s pumping bass guitar integral to many of these very dynamic cuts. Jenő Miklós Godó changes styles fluently alternating seamlessly between death -, technical - and symphonic metal techniques. His flexibility as a drummer is the beating hart of Dreamgrave’s music. “Presentiment” was recorded, mixed and mastered at Black Hole Sound in Szeged, Hungary with Gábor Vári producing. The production work is phenomenal in its pristineness with sumptuous deep tones and a palatial amount of depth and texture. The bass guitar tone is both incredibly clean and concrete sounding. The rhythm – and lead guitar are crunchy, whereas the keyboards and organs sound full bodied without ever pushing out any of the other instruments in the mix. Likewise is the vocal production impressive in its clarity, and given the intricacy of the music Vári did an amazing effort in distributing all instruments and the various vocals so evenly in the mix. The album cover was rendered by Norbert Fekete, and the digipack comes with an ornately designed booklet including reproductions of the artwork, lyrics, and production notes. Considering the consistent quality in songwriting, production, and presentation it’s unfortunate that Dreamgrave was relegated to releasing its debut independently. It seems the band is holding its own without the promotional support of a label, although it makes one wonder what a force Dreamgrave could be if they have a dedicated partner behind them. Unafraid to venture into more tranquil and serene genres Dreamgrave puts little importance on categorization, and integrates whatever gets the intended point across best. Not bound by metal conventions and trappings but also blessed with a pair of versatile singers it would be foolish of them to remain within the metal realm exclusively. There is simply too much talent in its current lineup to stay within such a narrow musical perimeter. Hopefully we’ll see Dreamgrave expand its sound further.